Due to low enrollment, our Wednesday night teen workshops have been cancelled! Apologies. Please be on the look-out for future workshops on our web and social media pages. Click HERE to take a short survey pertaining to our teen workshops! 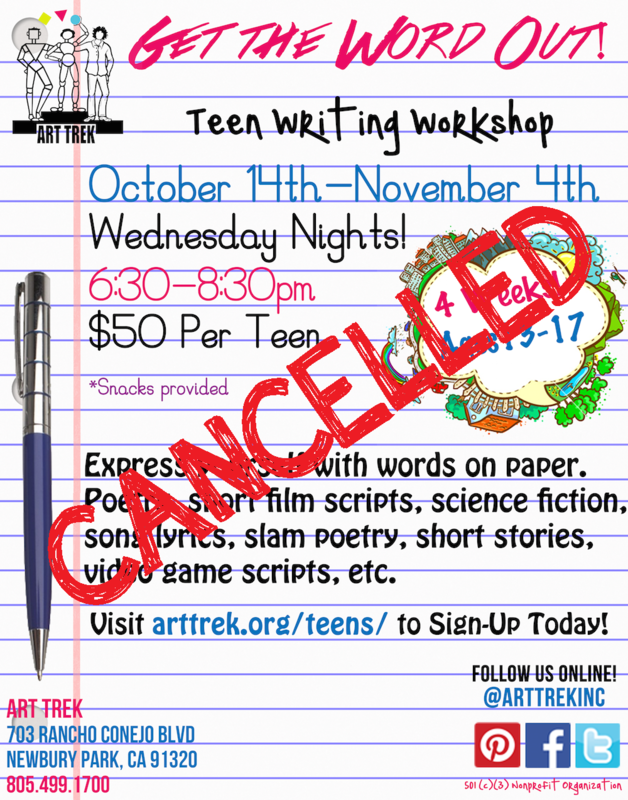 Posted on October 14, 2015 by Cordelia Miller and tagged teen workshop cancelled Art Trek.